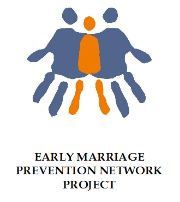 Early Marriage Prevention Network is a project financed by the European Union under the Rights, Equality and Citizenship programme, which aims at targeting attitudes concerning early marriage in the Roma community. This two-year project is a partnership of seven partners of which ERIO is a part of; covering five countries: Belgium, Bulgaria, Greece, Slovenia, and Spain. The target groups are children, especially girls who are at risk of early marriage. ​The leaflet of the project can be found here.